Four Reasons to Evict Your Minneapolis Duplex Tenant | Your best resource for buying, selling, owning and investing in duplexes and duplex homes. Granted, “bad tenant” means different things to different people. To most, however, it is someone who either doesn’t pay rent, or is damaging a property. Now, we all fantasize about the easy ways of getting someone out. In Minnesota, there are rules against acting out those fantasies. In other words, a landlord may not change the locks, keep the tenant entry into the building, forcibly remove the tenant or cut off utilities. So, what do you do? You begin an Eviction Action procedure. You may begin this process for several reasons. 1. Non-Payment of Rent – The first and most obvious reason to evict a tenant is non-payment of rent. It is important to note, however, that once you’ve begun the eviction process, the tenant may cure their default at any time prior to your regaining possession of the unit by paying all of the past due costs, including your court costs. After they have done so, they are legally entitled to continue living on the premises. 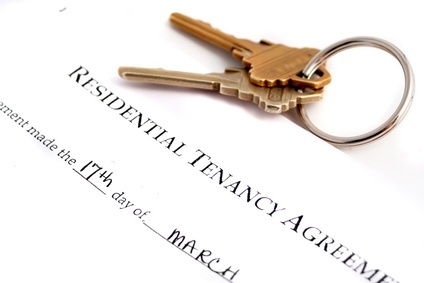 As a property owner, it is of paramount importance that your lease have a “right of re-entry clause”. This gives you the ability to evict a tenant for damaging the property, disturbing other residents, or having unauthorized roommates or pets. Again, examples of this are obvious, but they include prostitution, criminal gang activity, the manufacturing or possession of controlled substances, the unlawful use/possession of a firearm and of course, having stolen property on the premises. This is a someone who has either given proper notice they were moving out, or their lease has expired and you gave them notice, but for whatever reason, the tenant stays. Next time, I’ll talk about the process.